Functional Conditioning serves over 100 active clients with two staff people. Carrie Thatcher is a Functional Conditioning trainer who holds a B.S. Degree in Exercise Science and is CPR and AED Certified through the American Red Cross. 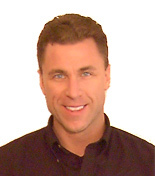 Brian Barkley founded Functional Conditioning in October 2001 after serving as Fitness Director at the Cherry Creek Athletic Club in Denver, CO.
Brian’s client base consists of approximately 100 people who have been referred to him primarily by physicians for personalized weight loss and exercise programming. Brian built Functional Conditioning programs around the BodyGem® Metabolism device and the BalanceLog® software to manage weight and nutrition. Brian had used the BodyGem metabolism measurement device previously at the Cherry Creek Athletic Club for a number of years and he believes that an accurate measurement of individual metabolism is the missing link in solving the national crisis of overweight and obesity. 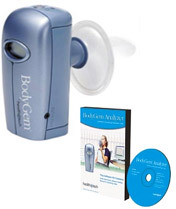 With the BodyGem device, Brian is able to establish an accurate calorie budget for a client. “I can prescribe a fitness program, but if the diet and nutrition component is missing, clients just won’t be successful,” states Brian. Exercise accounts for about 20 to 30 percent of a client’s weight management success, and the other 70 to 80 percent is diet and nutrition. Brian purchased the BodyGem device and BalanceLog software, and established a very successful business model incorporating these tools into an overall weight and fitness management program. Brian performs about 20 measurements a week and receives $45 for a single metabolism measurement. More often though, Functional Conditioning offers a complete weight management and exercise prescription for $65 which includes a BodyGem measurement, counseling on what the number means, a short training session on the BalanceLog software, and an exercise program. Brian sees his clients every month thereafter to re-measure their metabolism and alter their program as necessary. “Over 90 percent of my clients are achieving their goals,” says Brian. Brian’s client Rindy, has tried every diet she could find over the last two years and nothing seemed to work. Rindy even had her thyroid and hormones checked several times to try and figure out why she couldn’t lose weight – the pounds just kept creeping up, even though she considered herself fairly active. She had an extra 20 pounds that were keeping her from participating in life. Rindy read that you could have your metabolism measured and she figured it was worth a try. By having her unique metabolism measured, Rindy was able to work with Brian to develop a personalized fitness and diet program that worked for her. Rindy tracked her food and exercise using the BalanceLog software and felt the software was a “life saver” and easy-to-use. The importance of accurate measurements, combined into a total and personalized approach to each client’s success is critical. She expects that his company, and client base, will continue to grow and be successful using tools from Microlife.